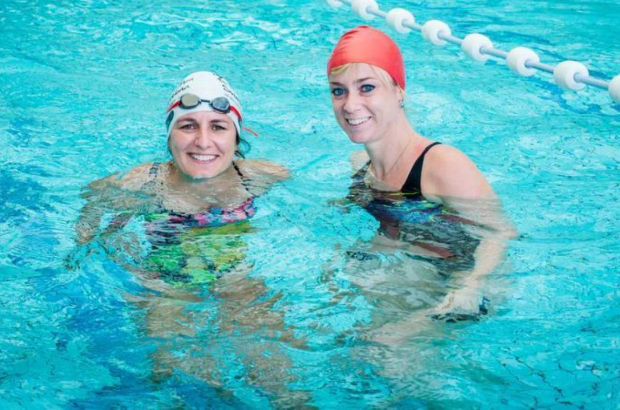 Two Brussels women, Laura and Caroline, are planning to swim from Gibraltar to Morocco next year in June, reports Bruzz. With the action Swim4Chris, their goal is to collect €40,000 in order to provide a new prosthetic leg for a young Congolese man named Christian. Caroline (pictured, left) first met Christian while working for a humanitarian organisation in the DR Congo. "He told me how he lost his leg in a rebel attack in his village. He's been walking around for more than 15 years with an archaic prosthetic leg that causes him a lot of pain,” she explains in La Capitale. Together with Laura, whom she met in a swimming club after her return to Belgium, Caroline decided to raise the money necessary to buy a new prosthetic leg for Christian by launching Swim4Chris. They aim to cross the Strait of Gibraltar in the first week of June 2018.